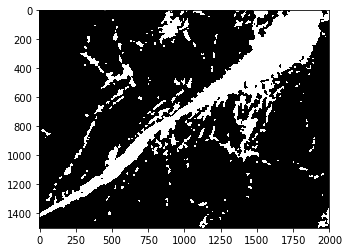 The goal is to produce a few measurements for each image (there are thousands) which I can use for spatial analysis or clustering/classification purposes. I am stuck with the current code (see error below) but I suspect there is a better way to do this..
# Included here in case I have messed something up! """Return (num of coverage, scale) of points by boxes of size 1/scale"""
""" Calculate dimensions of points at various scale = 2**level"""
""" Return a list of points on Koch curve, subdivided levels """
xd = (x2 - x1) / 3. And I am not clever enough to know how to modify xd to be adaptable to variously shaped 2D arrays! Browse other questions tagged image-processing python image wavelet image-segmentation or ask your own question.